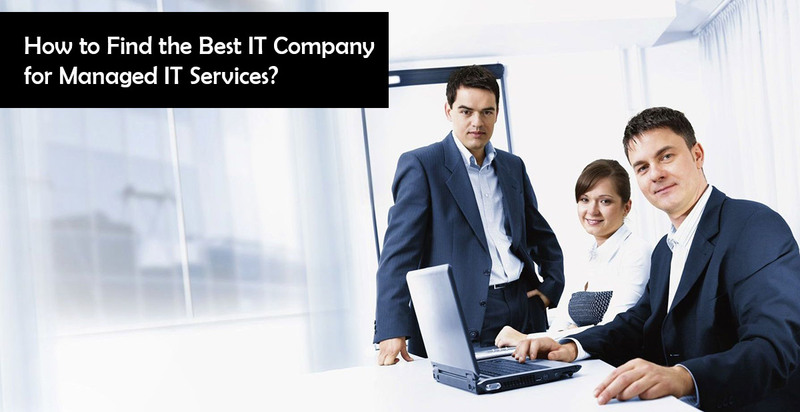 How to Find the Best IT Company for Managed IT Services? 85% of enterprises access their sensitive data through the cloud and more than 230,000 malware samples are produced every day. To be specific, 57% of cyber-attacks target large corporations and enterprises. With all that data, you might already understand how important it is to power-up your managed IT service game. • Do you feel like you’re way behind in keeping up with the latest technology; software, updates, apps and programs that can make your life easier? • Is your current MSP person or company is not meeting your expectations? • Is taking care of your IT is limiting your attention to other important parts of your business? • Do you want to outsource your managed IT services for the growth of your business? • Do you have a budget? If the answer to most of the questions is yes, you’re past the discovery of the concerned significance. Now, you might be wondering how you will choose the one suitable MSP (Managed IT Service Provider) from all those 20,000 MSPs in North America. I have put together a brief guide to help you choose your best match. Watch out for these 3 points and you shall not be disappointed. You know you’re looking for someone who covers everything under the umbrella of managed IT services; disaster planning, security, communication system, updates, automation and what not. There are a lot of companies which offer that but not all of them have these features. Watch out! Make it sure that the IT company you choose has a disaster plan that works. Also, inquire if they test their system frequently with changing trends and evolving technology. It has been reported that more than 33% of MSPs never or occasionally test their disaster planning system. It directly makes their clients lose money due to terrible downtime. You don’t want that. 45% of enterprises and more than 30% of small businesses are now partnering with MSPs. Therefore, when you explore your options, find out who the concerned IT Company has worked with, what is their response time, what is the level of certainty in their operations and what people say about them. For, you need day-to-day desk help to understand the ins and outs of IT being implemented on your business. Similarly, keeping an eye on certainty in terms of timely data back-up and recovery is important for the existence of your whole business. For it entirely depends upon digital files, online network, working infrastructure and Email communication. Many IT companies will claim the provision of top-notch managed IT services, but they won’t tell you transparently how they measure the performance of their actions. Therefore, catch the fish when you still have time. You need your monitoring and analytical reports because they will give you an insight into which department of your company is taking up your resources and which employee is using which technology. Not only this, you can also see at what time your website performs better and your customers interact with your business anywhere. You can conveniently build your future business strategy around it. Therefore, ask the concerned company representative that how they like to deliver monitoring and analysis reports. Conclusively, NJ and NYC cover a huge geographical area. Mazteck is my suggestions if you’re looking for some quick access. Shehryar Aziz holds a bachelor degree in Computer Sciences and is currently working as a full-time content and digital marketing specialist. He's employed at Wowbix as a digital marketing & SEO specialist and focused on helping businesses to grow. He loves to write and speak about digital marketing, technology, business growth, web designs and everything related to I.T.